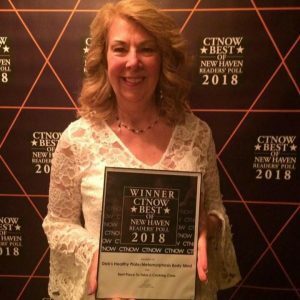 I am honored to have been voted THE BEST PLACE TO TAKE A COOKING CLASS!!!! from 10:00 to 1:00 COST $200 per child. Unleash your child’s culinary creativity with this special hands-on cooking class camp designed just for them. For 5 days your budding chef will learn valuable techniques essential for many years of culinary success and enjoyment. 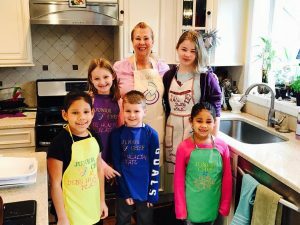 They will be working alongside other children and Chef, Debbie Barbiero owner of Deb’s Healthy Plate. They’ll practice their new skills while creating delicious culinary creations. For 5 fun-filled days, I will walk them through kitchen fundamentals like basic knife skills, how to follow recipes, measuring, and mixing. 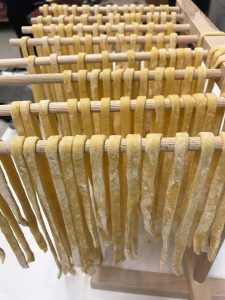 Students will also learn chef’s secrets for proper seasoning and flavoring techniques as they train their palates. 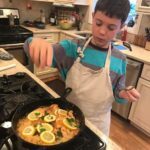 Does your child have a passion for cooking? What dish will be the class favorite? 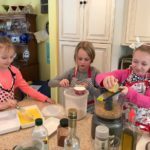 The skills learned in this class will show your child how much fun cooking can be and provide them with a foundation for a lifetime in the kitchen. Share your love of cooking by giving them a foundation that will benefit them for a lifetime with an experience they’ll never forget. • You will enjoy eating every dish. You can eat it here or take it home. Children will learn to measure, follow recipe directions, use kitchen gadgets and appliances and knives with supervision. 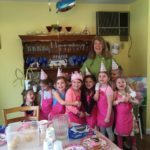 Birthday Party Cooking Classes for Children or Adults $30 per person. Saturday 3:30 or later in the evening or Sunday classes available. • It’s a big help for you. If a child can get themselves to a snack, that’s one less thing for you to do. • Cooking is so much fun for kids. It makes them feel important and independent. • Cooking teaches important life skills. • Cooking (and cleaning up) increases their self-confidence. Cooking may be somewhat of a secret to kids until they start doing it themselves. Something as simple as making their own scrambled eggs or putting toast in the toaster can be a really big deal! • It’s very nourishing for kids to be able to cook something and serve it to others. They feel special and may feel like they are doing something special to contribute to the family. • Being involved in the cooking encourages kids to try new foods. 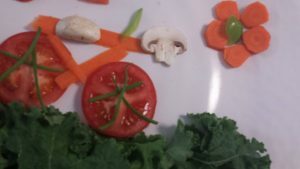 At Deb’s Healthy Plate, I ‘add the healthy’ to every recipe. We make family favorites healthier. • Cooking together with your kids is fun! It’s a great way to spend quality time together and also have a yummy reward! 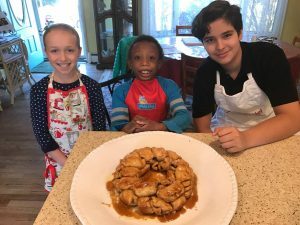 My Junior Chefs learn how to make great recipes and often make them again at home. • The children help me with some of the cleanup to learn responsibility and teamwork. Legacy Badge Cooking Classes for Girl Scouts too. 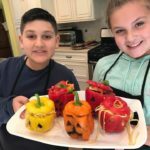 SATURDAY CHILDREN’S COOKING CLASS SCHEDULE FROM May to August 2018 – If you are looking for Sunday classes or classes during the week contact me 203-929-9414 or debshealthyplate@gmail.com. Saturdays 1:00 to 2:30 PM – Summer Special Prices start NOW! $25 per person per group class.